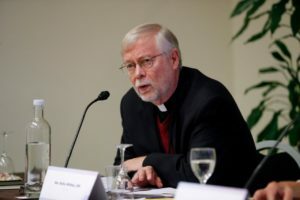 The following is the text of opening remarks recently made by Fr. 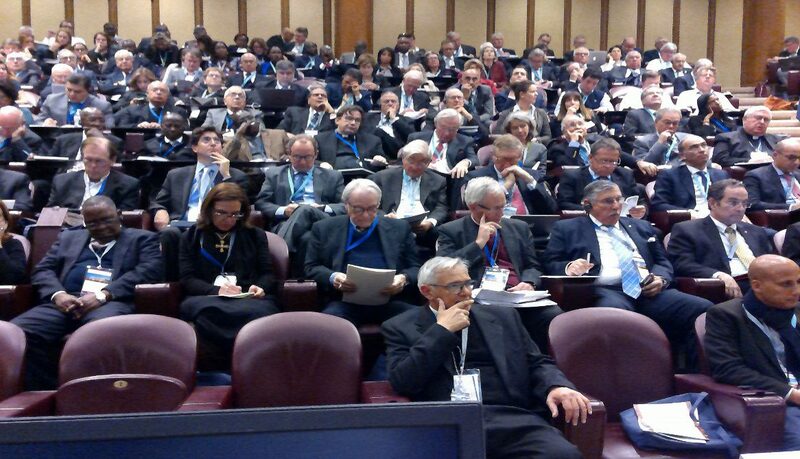 Séamus Finn, OMI at the UNIAPAC International Conference at the Vatican. I will briefly explore two themes in the time that I have. First I want to offer some perspectives on the interaction of Catholic Social Teaching with the worlds of finance and commerce. Secondly I will offer a brief summary of the outcomes from two conferences on Impact Investing that were jointly sponsored by the Pontifical Council on Justice and Peace, Catholic Relief Services and the Mendoza College of Business at Notre Dame University in the USA. CST has in its historical evolution presented a sustained consistent analysis, critique and affirmation of the various types of financial and commercial transactions that came into existence over the centuries. These are human activities that have existed and evolved over millennium and therefore presented existential questions and challenges to the teachings and principles of the faith tradition. The actors, actions and themes that were being examined included the roles and responsibilities of owners and customers and buyers; borrowers and lenders; the obligations of debtors and the appropriateness of interest rates; the responsibility to the norms of justice and the call to charity that the faith demands. In recent decades CST has been called and challenged to go into a deeper analysis of how the principles of CST, that we are all very familiar with, solidarity, subsidiarity, participation and care for creation etc. should be applied in the financial and commercial transactions and activities that are practiced today. Historically the debate in the tradition was often about the roles and responsibilities of the church in teaching and admonishing and of the state in governing and regulating the numerous issues and sectors that impacted society. Today the private sector as represented by civil society and corporations has come to occupy its rightful place at the table of debate and action about all the issues that societies encounter. Externally the unfolding process of globalization has left its mark everywhere. Led by the financial sector’s global expansion and the integration of the financial system it has had a profound impact on political alliances, civil society, the growth and penetration of corporations and the extension of social movements. The technological innovations that have facilitated much of globalization’s reach and inclusion is pervasive in even the remotest regions of the planet. The two conferences on Impact Investing that were jointly sponsored with the Pontifical Council in 2014 & 2016 broke new ground in the church’s engagement with capitalism and went beyond the conventional approaches to socially responsible investing and corporate social responsibility. In many ways they were an effort to respond to the well-publicized critiques of capitalism that Pope Francis has offered and his call for a financial system that is inclusive, that cares for the environment and takes seriously our responsibility to future generations. These conferences demonstrated how impact investing was consistent with CST, how individual and institutional investors were working to align the deployment of their assets to support positive social and environmental impacts and to consider the tools and approaches that were needed to achieve those objectives. They brought together development agencies from the private and official sector as well as foundations and representatives of international financial institutions. They also gathered representatives of projects and initiatives that were looking for reliable sources of patient appropriate capital that is committed to achieving financial, social and environmental returns. Both of these events, were I think, consistent with the traditional role that the church has played when it seeks to create a space where new initiatives that show promise in responding to the evolving needs of communities can be incubated. 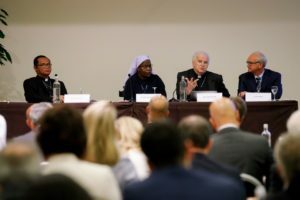 It is within this context that Pope Francis is inviting all of us to participate in the promotion of a Capitalism 2.0 that leaves behind the approaches and activities that fail to take into account the negative social and environmental consequences of their actions and whose only priority is profit and power. This is consistent with the earlier efforts to promote credit unions and cooperatives that CST supported. The institutions and companies in a Capitalism 2.0 must be willing to ask difficult questions such as: What & How is your activity, product or service contributing to the common good? Investors, also, starting with those who seek to invest in a manner that is consistent with their faith and therefore CST must ask; where does your money sleep? And while you are sleeping what is your money being used to finance? In a Capitalism envisioned by CST and Pope Francis we might further ask; what kinds of banks, companies, investors and institutions do we need in CAP 2? What kinds of regulations and supervision and transparency do we need across all the multiple jurisdictions that are responsible for assuring the stability and liquidity of the financial system and the reliability of the major institutions that operate in the system. As we seek to better align our business operations and our financial transactions with CST we are being invited to consider how we are positively contributing value all along our operations and for the investors where and what do we want to invest in. The global impact investing network has identified 10 areas like sustainable agriculture, affordable and accessible housing and healthcare and clean technology that are easily identifiable but all business operations have impacts. In seeking to decrease the negative social and environmental impacts that they cause and increase their positive contributions business leaders in all sectors can be agents of economic and social inclusion and embrace the ecological dimensional their vocation to care for our common home. The Fall/Winter 2014 issue of JPIC Report is now available on line as a PDF. It will soon be available in print form. 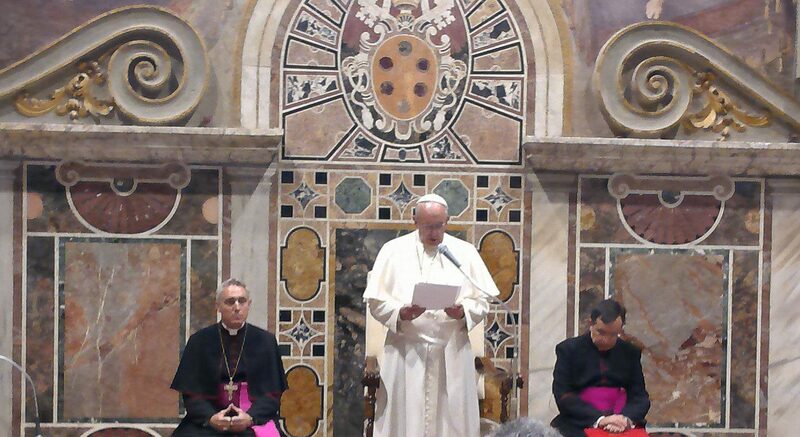 The Holy Father met with participants of a Vatican-sponsored conference on impact investing – investments designed to serve the common good. 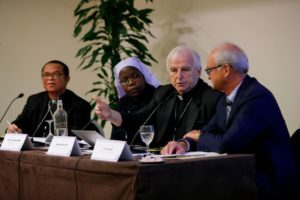 The Pontifical Council on Justice and Peace organized a two-day sharing of strategies around impact investing – what is it, how it can help the poor and how to develop it further. Fr. Seamus Finn, OMI spoke at the conference on Tuesday. 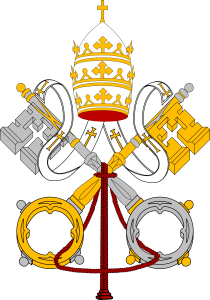 The Pope said: “It is important that ethics once again play its due part in the world of finance and that markets serve the interests of peoples and the common good of humanity. It is increasingly intolerable that financial markets are shaping the destiny of peoples rather than serving their needs, or that the few derive immense wealth from financial speculation while the many are deeply burdened by the consequences.” His remarks reportedly offered a good summary of the issues, opportunities and challenges involved in impact investing. 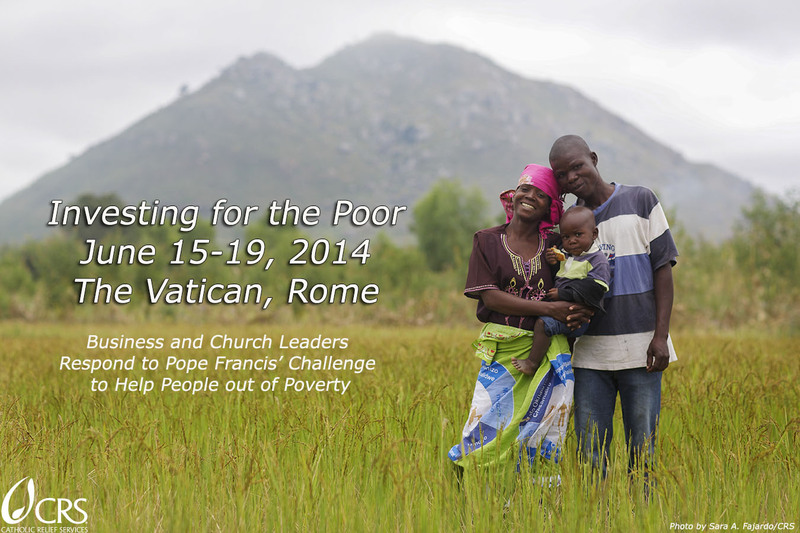 The Vatican is convening a two-day conference on of impact investing – investments that directly benefit the poor. Fr. Seamus Finn, OMI is one of the conference speakers.